"WOW! A must attend for everyone! 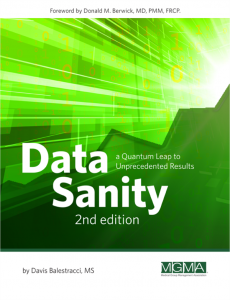 Totally changed my thinking on analysis of data and making it truly meaningful." "This session was awesome! Presenter was very engaging and simplified what people fear as a complex topic. I consider myself good at statistics but am always looking for away to do better and teach others. My two key take aways were a better understanding of the moving range and the calculation of the control limits. One of the most succinct and useful presentations on improving data reporting that I have ever attended. Thank you." "I have heard Davis speak many times - message is excellent!" Interested in an intriguing alternative that will anchor desired results long term? Public Speaking There is an awkward transition going on in the quality profession and misinformation abounds.